As he did with Skeleton Man, Joseph Bruchac once again blends haunting elements of traditional Native American folklore with a modern setting and characters in The Dark Pond, illus. by Sally Wern Comport. 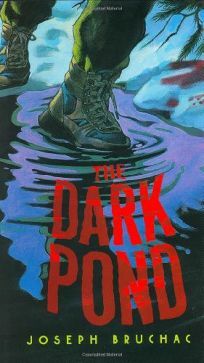 Armin, the teenage son of a Shawnee woman and a student at North Mountains School, is plagued by visions he experiences after visiting a mysterious pond one winter afternoon. (Aug.) .